Charleston has a number of charming gift items such as sweetgrass baskets, stone ground grits in a bag, benne seed wafer cookies . . . 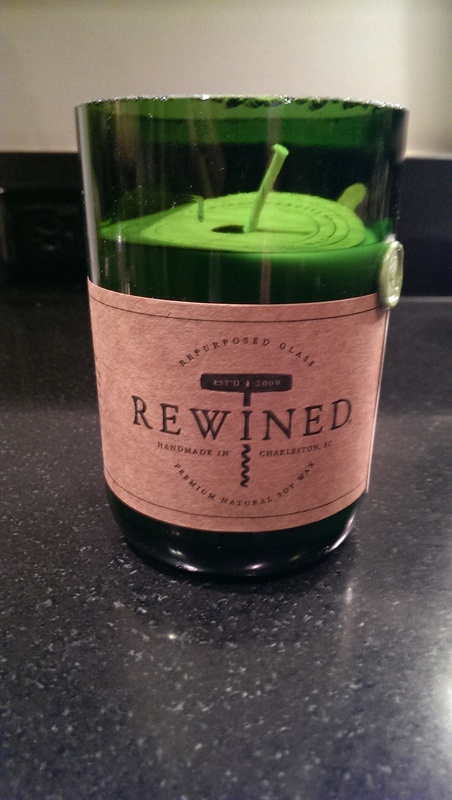 But my favorite Charleston souvenir gift is a Rewined candle. They are made right in Charleston on Meeting St. and are available at the city market as well as specialty stores around town. 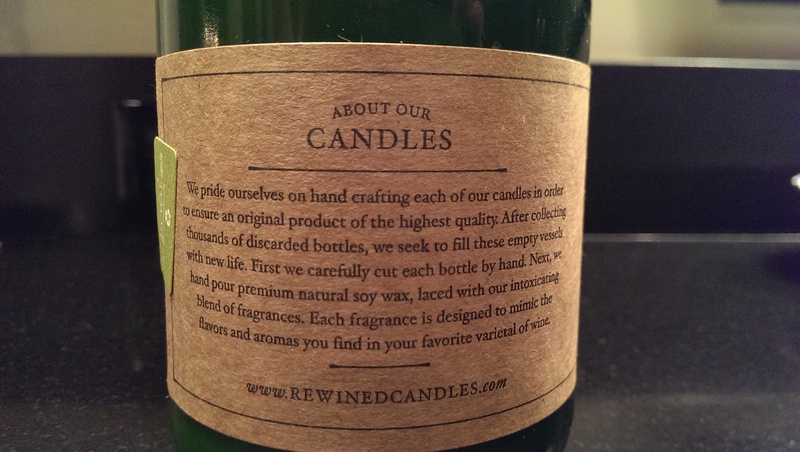 You can also order online at www.rewinedcandles.com. I love these candles for a number of reasons. They are made from discarded wine bottles and are hand poured using soy wax which are infused with fragrances designed to mimic popular wine varietals such as merlot, sauvignon blanc, even a sangria. They burn cleanly and people love receiving them as gifts. I find having a 6 pack of these around the house invaluable when I need a quick hostess gift or a thank you token. The owner (Adam Fetsch) is a former bartender and the story behind his business is quite interesting. Plus he should be commended as he just won a Governors’s award for his work with the SC Governor’s Committee on Employment of People with Disabilities. But if you’re looking for a unique Charleston based gift for around $20, you can’t do better than these candles. A great gift for the environmentalist, the wino, or the romantic in your life. They do good work down there at Rewined Candles on Meeting St. so stop by and say “Hi” to Adam and tell him I sent ya. Pick up some candles while you’re there, you’ll be glad you did! ← The best food you’ll ever eat!